Australian Born: WA Bullbars – steel the best! 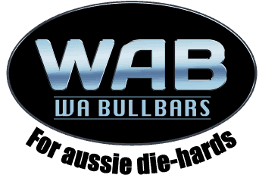 WA Bullbars is a wholly owned Western Australian company that was established over 30 years ago and is now recognised as a leader in the manufacture of steel bullbars. They manufacture a wide range of bullbars for both airbag compatible and non-airbag 4wd vehicles. All bullbars manufactured for vehicles with airbags have been tested by Automotive Safety Engineering Pty Ltd to ensure compliance with Australian Design Regulations (ADR) and Australian Standards. 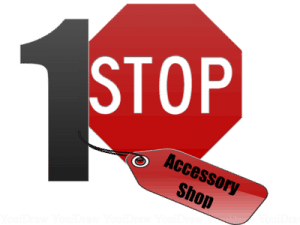 They are also a member of the Australian 4WD Industry Council and Australian Automotive Aftermarket Association (AAAA). terrain out there. With them leading the way, you can drive smarter and bolder. They’re made to last: And that makes them a great investment. Carefully crafted with premium materials, they’ll keep you ready for any challenges you encounter – on the road or off it! They’re safe: WA Bullbars provide strong and stylish front-end protection. 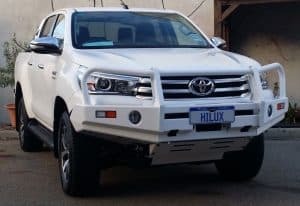 All bullbars manufactured for vehicles with airbags have been tested by Automotive Safety Engineering Pty Ltd.
WA Bullbars is continually developing and improving their products to comply with a changing market and the demand for innovative products. And they’re always looking for new ways to serve you better. WA Steel Bull bars are a no-nonsense, practical and tough bar designed to suit our harsh environment. Australian Born: WA Bullbars – steel the best! Choose Midland Towbars today, your 1-stop vehicle accessory specialists, to have your new Australian Born WA Steel Bullbar fitted!